I want a fast luxery car that looks good and isquiet inside with lots of options.If it does not look good or feel good i will not buy it.I have looked at Cadillac cts.It was boring and felt a little clostafobic.I did not like anything about the car even though I am a GM guy. Why is the Lincoln MKS ride so stiff? 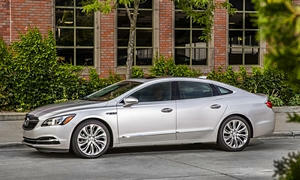 One of the better handling luxury cars for around C $14,000 is the 2010 or newer Buick LaCrosse. My Mother has one with the 2.4l and the handling and tossibilty with the smaller engine up front is quite fun. This car competes with with the Lexus ES when it came out and Edmund's picked the Buick over the Lexus. The LaCrosse will have superior handling compared to the Toyota Avalon which is one of the worst handling, large cars today. Her sees 26 mpg in mixed rural setting running the AC. Your could go with more luxury in a MKC or XTS, but they sacrifice some ride quality for better handling. But those will have better materials inside and also have the curb appeal. Remember too that tire quality and age play a big factor in the attitude of the car. A newer tire will have a much better ride and lower noise than an older tire. 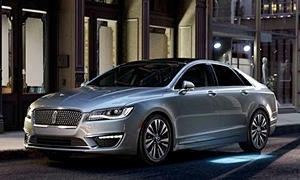 Another car to consider is the smaller Lincoln MKZ. 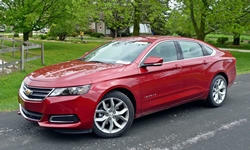 It is essentially a Ford Fusion and will ride better with it's longer wheelbase while still looking the part. 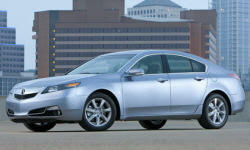 I was thinking a 2008 Acura TL Type-S would be a good choice. It's fast, reliable, comfortable, has a smooth powertrain, sharp handling, and it was one of the last great Acuras in my opinion. The 2009 TL was when they made the car worse and cheap. 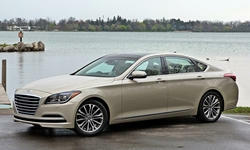 Another car is the 2009 or 2010 Hyundai Genesis. It's been pretty reliable, has depreciated a lot, is comfy, has a spacious interior, and fast is with the V8. It doesn't have the brand prestige of Lexus and Europeans, but it's a great deal. A lot of advanced features were offered with the Genesis. I almost bought one when it came out. It was the first Hyundai I had ever driven and I came away impressed. I just didn't like the low MPG numbers. On the Genesis that 10/100 warranty is non- transferrable and only available to the first owner. It drops down to 5/60 once the original owner gives it up. Only if it's certified do you get the remainder of the original 10/100 and all warranties are from the original in service date.